It was pitch black, the little hope of light, was now gone. There was nothing that could save her from the infinite blackness that was her surroundings. She was immersed, in all things evil, malicious, wicked, and dark. She didn&apos;t know what hell felt like but it was pretty close. Meathil&apos;s insides were burning the deeper she went into the maze. Every turn of a corner brought a soulless pain to her heart. She felt more and more empty the further she went, but the longer she stayed in one spot, the more she felt like she was being eaten alive. She felt like someone, something, was watching her. She swore there was more and more blood on the thorns as she moved farther into the maze. What was happening to her? She felt...empty. Like something was, not right. She didn&apos;t know who she was anymore, or why she was so motivated to keep going? She looked up at the ceiling which seemed to be getting more and more endless. She took cautious steps, every step. She felt the cold emptiness of the room swirl around her. Every tine she turned a corner, she braced herself for the horrors that would be behind it. Meathil moved silently and swiftly through the night, not caring about the world that surrounded her, only caring about the one that was outside. Where her real family was, where she needed to be. The clouded floors made her reflexes sharp, if she were to fall, there would be nothing to grab but the thorns beside her. Her throat went dry as a large gust of wind flew at her like a vortex, the mazes walls were getting closer by the second. She needed to get to that gem, and fast. She ran, ran, her feet being sucked down into the clouds she stood on. Every step made her knees quiver and her mind get sliced. Why was she here? She knew the answer deep down inside, but the darkness, was making her forget. Forget why she was here, forget what she had to do. Meathil started picking up the pace and looked back at the world outside, it was so dark. Outside of the creatures eyes she could see people, two men, many women, yet she couldn&apos;t name any of them. She knew she was comrades of them, but why couldn&apos;t she remember? Leave, leave this place. A voice whispered to her, warned her. The walls of black grew closer together, closer and closer, until her body was almost pierced by the thorns themselves. The voice was calm and relaxed, it seemed to want to help. It was not as deep as the first one was, the voice that told her to go into the maze first. This one, was soft and caring but again, had fear and pain in it. She glanced around another corner to see the pathway was clear, she ran. Down the path, farther and farther, the farther she went the more empty she felt. She had to keep going though, for something, for some reason she had the feeling that she had to keep going. She heard whistling, a small sharp whistling, and the sound of air. From above she heard it, and it was getting louder. The noise was getting louder and louder until she saw what was making it. A large shadow like beast was flying above, tailing her, catching up. It had its red eyes, blood red eyes set on her. The creature was made of shadows so she couldn&apos;t very well cut it, it wouldn&apos;t die. The creature picked up speed, and so did Meathil. She ran faster, her feet again getting sucked into the ground. What was the opposite of a shadow? Sunlight. 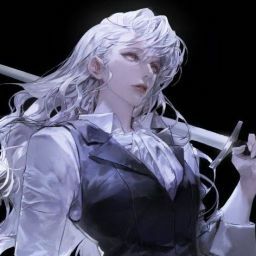 She slammed her foot into the ground making her pivot towards the beast above, she held her hands out and used what little power she had left. A beam of light shot from her hands right through the creatures body making it vaporize into the air. That was how you killed a creature of darkness, with light. She caught her breath and stood still, he heart was racing. How many more of those where there? Where were they coming from? She could hardly see anything with no light, and she needed to save her energy. She couldn&apos;t not pay attention to her power, the more she uses it, the less she&apos;ll have left. She moved farther and farther from the spot where the shadow creature was. Maethil looked around her as she moved through the shadows. She heard the flap of more wings, the sound was getting louder. She knew what to do and how fast to run, Meathil pushed her feet farther and farther. She needed to go faster, needed to get to the middle of the maze. It wasn&apos;t that far away, she felt it was only a few corners away. Meathil turned the corner and swiveled her head back to see the five shadow beasts that tailed her. They would reach her in no time if she didn&apos;t move faster. She flung herself around the last corner before setting he eyes upon a small, very small, golden light. It shinned and gave her a clue as to where the gem was. She saw it, the middle of the maze. It was only a few feet away yet it felt like a million. The screeching of the beasts made Meathil&apos;s ears hurt and her head throb. The ground was moving, she fell on her back. Her head moved to glance at the outside world. The picture was moving, the ship. But it wasn&apos;t the ship, t was the king creature&apos;s head. The ground rumbled as the clouded floors beneath her soon became a wall. As the creature&apos;s head and body moved, so did the ground. Her body slid through the gassy floors closer and closer to the thorn bushes that surrounded her. The gem was so close, why is the king moving now? As the creature moved she slid closer to the thorns. She had to focus on the five shadow beasts that were now a few inches from gutting her. Quickly and carefully Meathil placed her metal boots on the bush, crushing the thorns. She walked along the sharp walls trying to create distance between her and the beasts. She felt the thorns crushing underneath her feet making the road she walked on bumpy. She felt the ground shift again and the gassy floor that was once the ground was now the ceiling, with an endless pit as the floor. There was nothing to grab onto, nothing that she could hold on to but the thorns, that would definitely cut her into pieces. She moved quickly trying to keep up with the movement, keep her balance. But she just couldn&apos;t, her foot slipped off of the gassy floor and she felt her body fall. She was falling into oblivion, the endless floor beneath her. Her hand was caught on something though, the blood to her hand was getting cut off. Not cut off, but the blood was falling out of her hand. She looked up and had to catch her breath. The floor that she had once ran on, now had sharp back vines hanging from it, and with every vine, there was a sharp blade surrounding the plants. The vines cut into her wrist deeper and deeper, until she was close to loosing her hand. She gathered all her strength and pulled herself up laying her metal chest plate on the wicked vines. She couldn&apos;t use her hand to move around, she didn&apos;t have any metal on them. But she noticed something, something that actually made her feel a bit more calm. The shadow beasts that had once chased her were falling, slipping away into the dark floor. Any time the monsters tried to claw at the vines above her, they would pass right through them, they were only shadows. The ground was still moving and the whole entire room shook. Again moving and shifting its way back to being normal. Maethil hit the ground hard cutting her cheek as the vines disappeared back into the ground. She stood up carefully, her legs shook with the pain of a bunch of thorns in her skin. She couldn&apos;t take them out without causing bleeding, but they would just pain her for the rest of the time. Something caught her eye, before she had the chance to take them out. Someone, rather. Someone was in front it for gem, protecting it? What was the person doing? As she got closer her gut told her to runaway, it told her to leave. "Come and play with me Meathil," the person hissed, it was a woman&apos;s voice. "If you win the game, you get the gem. If I win the game, I get you. Forever." The woman came into the light of the gem and she finally saw what she wished she hadn&apos;t. The woman had pale white silvery skin, and white hair. But the thing that made her feel a knife in her back, was the blood red eyes of the girl. The eyes that were bloodthirsty, ready for war. "Will you play with me Meathil?" Her gut told her no, the right answer was NO. She had a duty to uphold though, she couldn&apos;t let those people out there die, whom ever they may be. She didn&apos;t back down, she had two minutes, two minutes to play the game.